WOW, IS IT DECEMBER ALREADY!? WHERE DOES THE TIME GO? Propeller Anime will be having a fabulous meeting on Sunday, December 4th at 2PM at Full Sail University in Building 3F in room 121. You can get a map to the campus here and map to the building here. The physical address of the school is 3300 University Blvd Winter Park, Fl 32792. We haven't watched anything based on a creation by Mamoru Oshii in about a couple years. That's practically criminal for an anime club! In order to avoid going to anime club jail(you have no idea what things they do to you in there! ), we'll be showing one of his more famous works, Ghost in the Shell Jin-Roh: The Wolf Brigade! In an alternate history where Germany has conquered Japan in the 1950s, Kazuki Fuse, a member of the Panzer Cops with the rank of Corporal, is sentenced for not following an order to kill a suicide bomber. 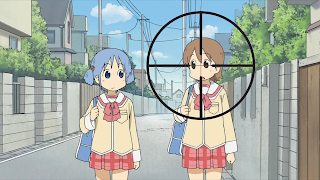 Along the way, he meets Kei, a girl who initially claims to be the suicide bomber's sister. 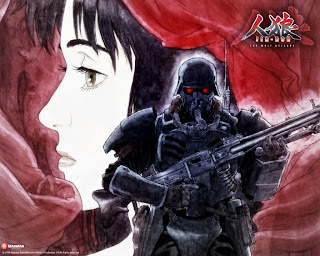 They develop a relationship that proves to be dangerous for the Kerberos Corps. This movie is not for the weak of heart. 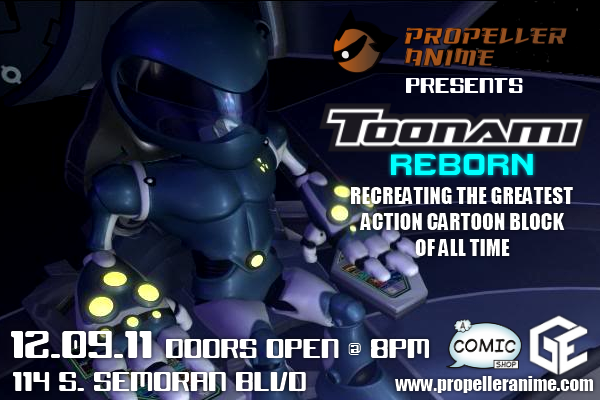 Next Propeller Anime Meeting on Sunday, November 20th featuring Onigamiden! To end the Fall, we'll have a Propeller Anime meeting before Thanksgiving on Sunday, November 20th at 2PM at Full Sail University in Building 3F, room 121. You can get a map to the campus here and map to the building here. The physical address of the school is 3300 University Blvd Winter Park, Fl 32792. We've had an influx of new members as of late and thanks to events like Orlando Japan Festival and Anime Geekgasm, we're sure to have more! If you're a more season member of the club, make sure you make our rookies feel right at home! 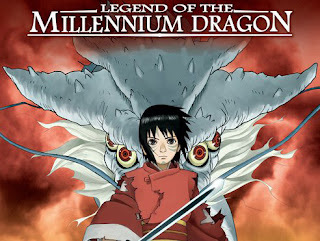 With that said, we'll be showing anime! Lots of it! Including a special feature! 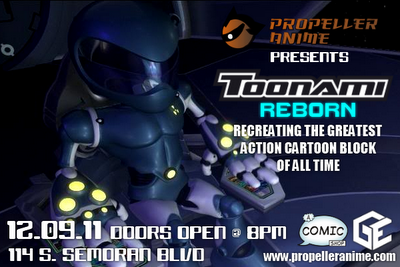 Next Propeller Anime meeting on Saturday, November 5th! GOLGO 13 HAS HIS SIGHTS SET ON A NEW TARGET! Our next meeting will be Saturday, November 5th at 1:00PM at Full Sail University in Building 3C, room FS3C-102. The address of the campus is 3300 University Blvd Winter Park, FL 32792. An interactive campus map can be found here and building map here. We've had a lot of cute, fluffy stuff lately and it's time to hire an assassin that gets the job done like no other man can. That's right, the feature this time is the Granddaddy of all MANIME, Golgo 13.